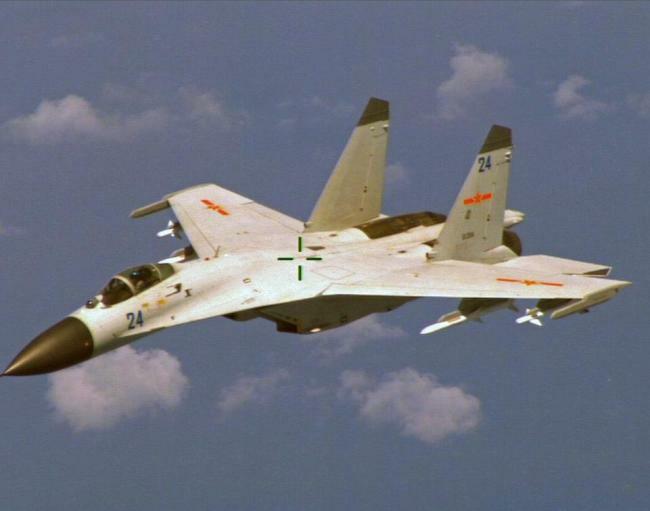 A Chinese military aircraft entered South Korea's air defense domain without notice again Monday, prompting the Air Force here to scramble fighter jets as a warning, Seoul's defense authorities said. The plane entered the Korea air defense identification zone at around 10:03 a.m. and flew out of it about half an hour later toward Ieo Island, a Seoul-controlled submerged rock south of Jeju Island, according to the Joint Chiefs of Staff. The plane, believed to be a Y-9 reconnaissance aircraft, then flew to the east of Gangneung in the eastern province of Gangwon. After turning back to the south, it entered the KADIZ again and exited the zone at around 3:02 p.m., the JCS said. It added that F-15K and KF-16 fighter jets were mobilized to track the aircraft and send a warning message. This was the sixth unilateral crossing of the KADIZ by Chinese warplanes this year alone. "It flew for about two hours in the KADIZ out of its total five-hour flight after entering the KADIZ," a JCS official said.